This summer, you can do so much to beautify your garden and give your outdoor space a relaxing vibe. After all, it is the time of the year when you can choose from numerous types of plants and flowers that will make your yard attractive and comfortable. So, make it a point to check out these top 3 summer landscape designs and try these ideas for your next landscaping project in your home. When it comes to sheer elegance and style, one of the easiest ways to achieve these is by decorating your garden with more flowers. With the wide array of blossoms to choose from, you can be sure to find a few that will look amazing in your yard. For instance, you can enhance the appeal of your home’s entrance by decorating it with some perrenials and annuals that will complement each other. These flowers also ensure you of vibrant colors of flowers no matter what season it may be. Some of the ones that you may consider using for your landscaping project include Gertrude Jekyl roses, Lily of the Nile and Petunias, to name a few. These flowers are enticing because of their colors, and you can find hues and shades that will match the rest of the bunch. In case you are a bit worried about the cramped space between the street and your house, then you may want to set up a fence in the front of your home. Just be sure it is a low fence to maintain space while achieving an illusion that the house is not too close to the street. A fence also works great when you need to plant some vines and flowers. 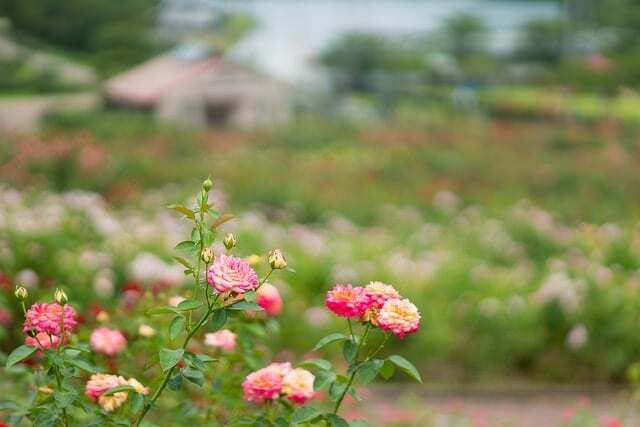 If you have read the book “Secret Garden”, you must have imagined just how divine the entire space looked with lovely flowers and rambling vines decorating the entire space. When it comes to the best vine to plant, it is the Clematis. What’s amazing about this vine is its wide selection of blossoms that range from pink, white, red and purple. You may even grow this type of vine of a trellis, container or fence, depending on your preference. Just be sure to plant it during spring or fall when the weather is mild and cool. It also requires loose and fertile soil that is well-drained and filled with organic matter. There may be flowers that can be difficult to grow and maintain, but lilies are your outstanding options. In particular, crinums are perfect to plant even during summer when the heat of the sun is intense. There is no need to fertilize the soil, and it can grow and thrive even during the humid and hot months. At the same time, the remarkable of its flowers will perfume and fill the air. These flowers are uniquely-shaped and fragrant, and you can expect them to come in different colors that will bloom during summer, fall or spring. Consider these simple, yet practical landscape designs for the summer and improve the appearance of your outdoor space instantly!